We are pleased to exhibit at the Grindtec the Mikroturn 100 Mikrofinish. 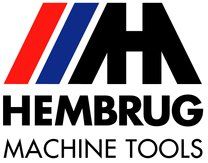 A fully hydrostatic turning machine with an integrated tape-finishing unit. This light weight, compact and high quality tape-finishing unit is developed in close cooperation with Thielenhaus sister company Superfinish Innovation AG. The machine is meant for manufactures of cylindrical, spherical, conical and crowned workpieces that requires a surface finish quality that cannot be achieved by means of hard turning only. The tape-finish process can then further improve the surface accuracy to Ra 0.02 – 0.05 directly after the turning operations. The advantages of this turn-finish combination are numerous. Integrating two processes in machine is time and cost saving as multiple operations can be done in one set-up. It eliminates the need for a multi-step process that normally would involve two machines. Another important advantage is that because all surfaces can be machined in one clamping set-up it eliminates any possible re-clamp errors leading to better workpiece quality.